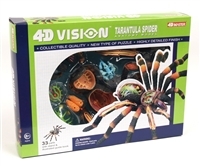 Home > Search for "4D"
32 fully detachable parts. 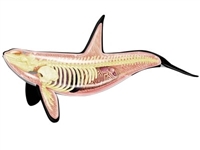 A transparent cutaway design shows inner details. 4 5/8 inches. Includes display platform and illustrated guidebook. For ages 8 and up. 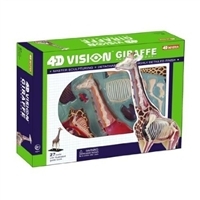 These puzzles contain small parts and are not intended for children under 3 years. 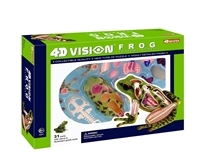 Most 4D Vision models are great for those in the pursuit of medical/life science, but this one is great for artists too! 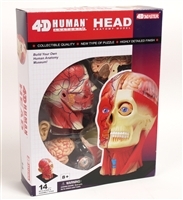 Bone structure and facial muscles that make up every human face are clearly visible on this highly detailed assembly kit. 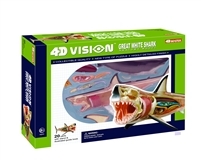 Great for both traditional artists and digital animation artists too! 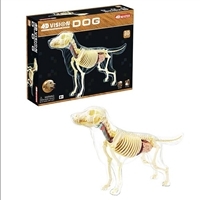 Know man's best friend inside and out with 30 fully detachable organ and body parts. 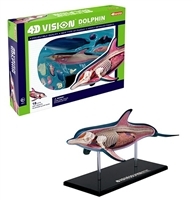 Model has a transparent cutaway to show internal organs and structure. 8" long. 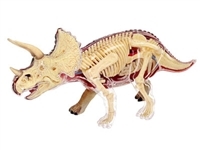 Built with the same high quality as the standard 4D Triceratops, but with a few differences. 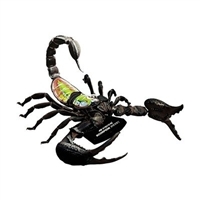 The deluxe version has a smaller cut away transparency so the display size looks more realistic. 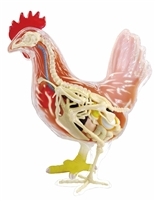 The insides come with more bones and organs, giving the cutaway section a more organic look. 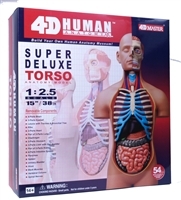 42 fully detachable organ and body parts. 14" total length. 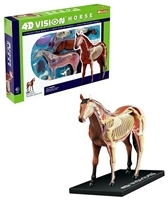 The animal anatomy model has a transparent cutaway to show internal organs and structure. 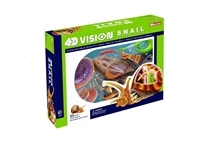 Includes display stand and illustrated guide. Ages 14 and up. 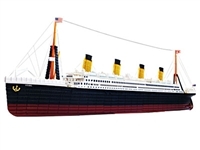 Pre-painted with great detail, the puzzle fits together without glue to create a lovely model at 1:1200 scale. 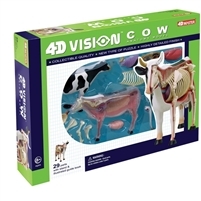 Consists of 41 pieces and measures 9" when assembled. Display stand included. No other animal family on Earth is more closely related to us than the great apes, the greatest of which is the gorilla. 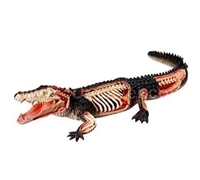 Model has a transparent cutaway to show internal organs and structure. 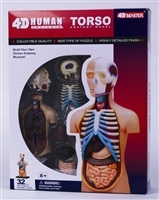 29 fully detachable organ and body parts. 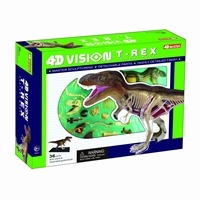 Evolution built the T-rex to be one of the largest land-based carnivores that ever lived, and now you can build your own prehistoric menace. 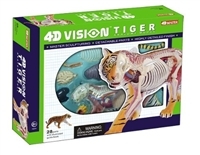 This 4D animal anatomy model has a transparent cutaway to show internal structures. 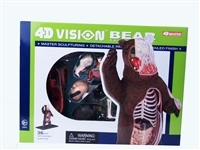 36 fully detachable organs and body parts. 11" tall. Despite its huge, menacing horns, the prehistoric Triceratops often fell prey to the fierce T-Rex. 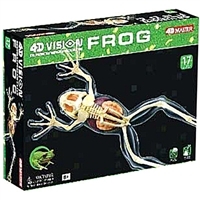 This 4D animal anatomy model has a transparent cutaway to show internal structures. 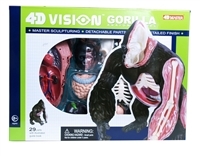 46 fully detachable organs and body parts. 7-3/4" long.